Alleppey has many interesting tourism destinations that attract visitors and tourists for holidays and tour packages. 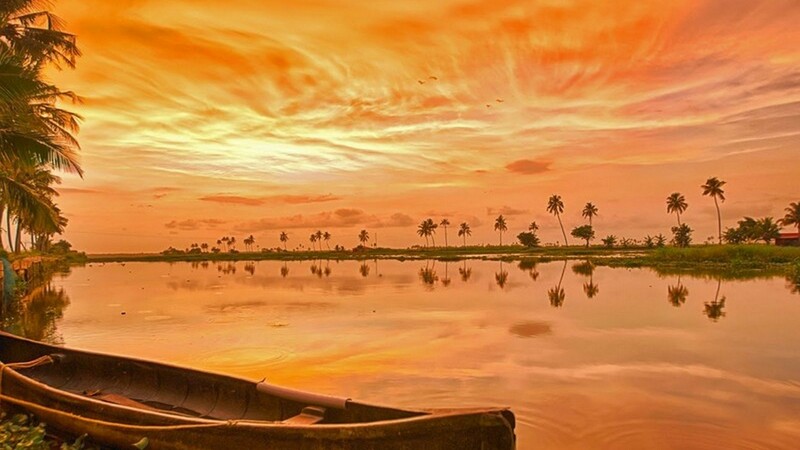 Locally Alleppey is known as Alappuzha and it means the land between the sea and network of rivers flowing into it. Bacwaters which have made Alleppey famous all over the world is in fact the network of rivers flowing back to land.The backwaters were formed by the action of waves and shore currents creating low barrier islands across the mouths of the many rivers flowing down from the Western Ghats range. The attractions in Alleppey include Alleppey Beach, Arthunkal Church, Kuttanad, Alleppey Boat Races and Alleppey Backwaters.There is nothing like doing a houseboat cruise in Alleppey backwaters . It is not only a fabulous way of exploring the fascinating beauty of the backwaters, the small villages and the lives of the people living there but also a way to connect with oneself and the nature around. Alleppey is a town with picturesque canals, backwaters, beaches, and lagoons, it was described as Venice of the East by Lord Curzon.Alleppey or Alappuzha as it is locally known is now the hub for backwater tourism in Kerala and renowned all over the world for houseboats and backwater cruises. House boats locally called "Kettuvallam" are available on hire on a daily basis as well as for longer durations to take visitors on the old waterways. These house boats in general have 2 bedrooms and attached bathrooms. Some of the boats have the bedrooms fitted with air conditioners. A routine trip includes food cooked on board in the traditional Kuttanad style. Alappuzha is unique in that it is the only district in Kerala without forest. This temple is very famous among the local people, as it is believed that the deity of the Bhagawathy temple has miraculous healing powers. In the months of February and March the temple is teaming with life as the festival of Bharani takes place during this time. The temple comes alive with activities and grand feasts at this time of the year. The famous church in Arthunkal, the St. Andrews Church was set up by the Portuguese in the year 1851. Every year in January, an elaborate feast is organized in the honor of St. Sebastian and thousands of devout Catholics come from all over the state and neighboring places to take part in the grand feastings. Alleppey beach is a popular tourist place and a picnic spot for tourists and locals alike. Located at a distance of 47 km from Alappuzha on the way to Kollam, this palace was built in the 18th century during the reign of Marthanda Varma. Backater cruises are cruises on traditional Kerala houseboat called Kettuvalloms.